When it comes to selecting wedding vendors, the options can seem overwhelming. 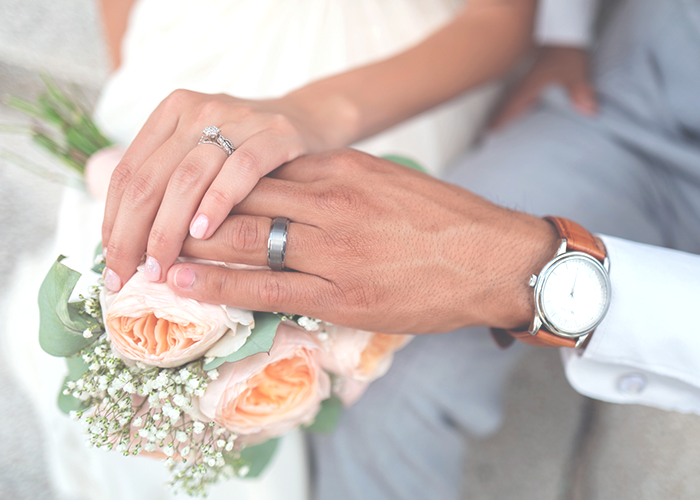 The wedding industry is continuously growing, and some cities can boast upwards of hundreds of planners, florists, photographers, and designers. Once you do narrow down your list, you have to start the vetting process -– and that’s where things can get even more challenging. In order to successfully vet your wedding vendors, you need to know what questions to ask. And most people don’t. It can be argued that wedding photography is one of the most (if not the most) important aspect of your wedding day. After all, it’s the photographer who will capture those crucial moments for you to look back on forever. That’s no simple task, so it’s important for brides to know what to look for when selecting their photographer. Additionally, it’s important to know that not all photographers will be right for every bride, regardless of their talent or image quality. Photography is, at the end of the day, an art form, and it’s subjective. It’s essential for brides to find a photographer that matches their overall vibe, and a lot of brides don’t necessarily know which questions to ask so they can find the right one –- especially when they’re bogged down with concerns about cost and availability. I spoke with a wedding photographer about the vetting process. Connor, who is a Boston-based photographer, shared with me some of the questions he wishes brides would ask more often. He said that these specific questions will yield a dialogue that allows brides to truly understand the photographer’s style and vision, which will result in the best possible match (and, of course, beautiful photos). And now…the Questions To Ask! Don’t forget to feed your wedding vendors, brides! Connor added, “If a photographer works for more than four hours, they definitely deserve a meal and some time off of their feet. We usually work through dinner, and having a moment to catch our breath and rest our feet will allow us to work more efficiently.” Aka, it’s in your best interest to give your photographer some chicken…the images will benefit from it. Believe it or not, wedding photographers won’t love every second of your wedding. It’s normal, and it’s human. But it’s a good idea to find out which moments your photographer is excited about, and what he or she might not be looking forward to. Connor revealed that all photographers behave differently during their favorite and least favorite parts of the event, so it makes sense to see if you’ll vibe together (and be sure that your hire will enthusiastically capture the moments that are most important to you). It’s good to discuss formals ahead of time and not ask for pictures of “so-and-so” in the moment. Of course your wedding photographer is there to take photos. But it’s important to keep in mind that formals usually end up being the least favorite part of the day for almost everyone. It takes a long time as it is, and when you add every single second cousin into the mix, you’re looking at a very long portion of the day. The “can you get a closeup of…” and “can we squeeze in…” questions are especially frustrating for photographers when they’re asked in the middle of formals, when you’ve already given her or him a list of combinations to work through. In other words, stay out of the way while they’re doing the most labor-intensive part of the job! This is another one that’s crucial to discuss before the actual wedding day. Don’t ask in the moment, when you’re tipsy on the dance floor. Connor explained, “The cost of overtime — and whether to keep your photographer over time or not — should be made far in advance, so everyone is clear as to when the contract is up.” You don’t want to be negotiating an hourly rate on your big day, when you should be focusing on your family and friends and spouse. Believe it or not, most people don’t think to ask this! Connor said, “I think a lot of people view wedding photography as a transaction. And while that’s true to a certain extent, we’re also a big part of your day; we’re putting our artistic eye into things. We really hope to receive positive feedback; we want to hear that we’ve succeeded in creating lasting, powerful memories from our clients. If we don’t hear back from people, it’s easy to assume the worst. To hear that they’ve enjoyed the images and have had a positive experience really makes the job worthwhile.” So, follow up with your photographer when they send along your reels! If you love what you see, ask where you can write a kind few sentences about your experience with them. Pay the joy forward! A bit about the photographer we spoke with: Connor is a freelance photographer and award-winning photojournalist living and working just outside of Boston. Holding degrees from Boston University and Ithaca College, Connor has worked for several newspapers and has extensive experience in the fields of higher-education, studio portraiture, and wedding photography. Check out his work on Twitter, Instagram, and his website.